Conditions: Slightly overcast skies, colder temps, some fresh snow, and some fresh corduroy. Flex: This board comes in somewhere around middle of the road. You have softer tips then a slightly stiffer mid section under foot and a lot of torsional flex. Stability: This board has some OK dampening to it. It’s lively yet stable to a point. You’ll notice a little bit of chatter out in the rocker zone but by the time it hits the camber zone it’s disipated. Ollies: This board has some OK snap to it. You do have to load it up, but it’s not over the top. This is one of those boards that doesn’t require you to always be on top of it to snap. Pop On Jumps: I’ll be honest I didn’t hit any jumps with it, just some side hits. I can say after sending some fun little hits that this board would pop decently enough off a jump. I wouldn’t necessarily hit the big line, but medium and small jumps no problem. Butterability: The tips have such a sweet spot it’s easy to press into. This board is easy to engage into a butter and get sideways with it. Jibbing: With that cam rocker and softer flex you have that sweet spot to lock into nose and tail presses. Having camber between the feet you can get sideways and have it lock in perfectly. Carving: The sidecut on this board is dialed. It grips and rips. Short quick turns or long drawn out carves this board just excels. 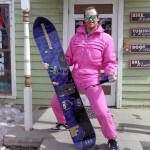 Rider in Mind: Someone that wants a little softer all mountain freestyle board that can do it all. Personal Thoughts: I’m going to preface this that I was definitely too big for this board and could over power it with ease. There is rebound where you need it and had I been on the 156 it would have been more my style. This is basically the big brother to the Score.